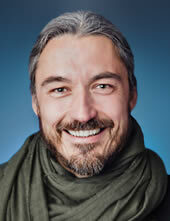 Thomas Hübl is a contemporary spiritual teacher, and founder of the Academy of Inner Science. Through in-person workshops and online courses, Thomas has taught thousands of people how to awaken their highest potential by combining contemplative practices with the cutting edge of human developmental science. His work explores the leading edge of personal and collective transformation, incorporating meditative practices, somatic and subtle awareness, and conscious cultural engagement. Thomas is also is co-founder of the Pocket Project, a global initiative whose mission is to integrate and heal collective trauma and reduce its effects worldwide. An activist for the cause of global healing, Thomas created the Celebrate Life Festival, which has taken place annually since 2004 and offers a profound experiential immersion in human and cultural transformation. For more information, visit https://thomashuebl.com.